Last year in February 2018 when I came back from my 4 month trip, I felt incredibly lonely. Previous to this trip I had come out of a 3 and a half year relationship and finished a college course. I had spent a lot of time focusing on my relationship and studies. Although I knew a lot of people, I hadn’t really nurtured many of these relationships for a long time. 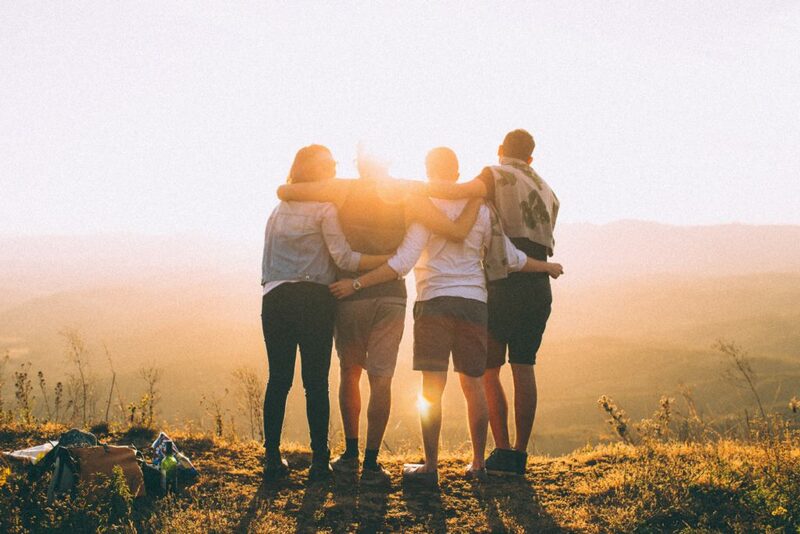 During the Summer and after my scary depressive episode, I decided that nurturing friendships I already had as well as making new ones was high on my agenda. I went on some new experiences last year and met a lot of great new people. I also really focused on old friendships too. In the last few weeks with Christmas and New Years there has been some get togethers with good groups of friends. Some of which I hadn’t seen in a very long time. And how awesome it was to see and catch up with them again. As time goes on in our lives, bonds with friends grow stronger. Some of us have travelled, settled down, bought houses, gotten married and are 8 months pregnant! Can not wait till this little lucky baby comes into this world! Last year I was lucky enough to have a couple of close friends who reached out and looked after me during the time I was sick. Even when I was thinking I had no one, these guys stepped up. Taking me out on walks even when I had been in my jammys for days and really wanted to say no and stay in bed …. and generally checking in and giving me the support I needed. Also a massive thanks to the rest of my friends for just being awesome. There were many of you that met up with me over the months post my depressive episode and when I was very open about my mental health, everyone was super cool and supportive. Feeling lonely is an epidemic in this world… especially for those who experience depression. Most of the time, we do have people around us. We just need to reach out when we’re both doing ok and when we’re not. I’m super happy to have nurtured and strengthened some of my friendships again over this past 6/7 months or so…. and of course meeting some great new ones along the way.